2015 is almost here and the holiday season is winding up. You’ll be on the road soon, packed to the headlights with stuff, roving between towns and stopping in to see the sites. You’re not particularly comfortable and you really wish you could have brought the boat along, but you suffer through, because part of you believes you’ve earned this kind of hellish holiday experience. It’s fun, right? When you’re out of the car or truck, maybe. But inside, squished in like sardines or without a water-faring rig trailing along behind you? No, you’d rather be on the local river, fishing with your buddies and waiting for the fish to bite. Next year, things will be different. Why? In case you need convincing (or somebody else does), check out our reasons you need a trailer in 2015. Packing a few things into the boat while you’re on the road will save you so much space; you’ll be able to see out the back window, minimising those accidental holiday impacts. Even if you have a fancy back-facing camera, an over-packed car does nobody any favours, fraying tempers to the edge and ensuring the kids in the backseat (or those buddies who failed to call shotgun) get restless faster. A lack of room to stretch out on long trips is fun for absolutely nobody. Instead of indulging this scenario again, place non-essentials in the boat, from lamps to camping gear or even spare suitcases. You might have to reconsider how you pack before you leave, but it’s a small price to pay for more space, don’t you think? Owning a folding boat trailer is up there in the holiday convenience stakes, as some hot spots allow punters to hire tinnies for the day or week. Boating without dragging your own along! Light, collapsible and easily stored in the boot when not in use, one of these babies will ensure you can give the kids a cool experience and fish new waters while passing on your passion. Consider this option if you’re driving a long distance (around Australia) or you’re not sure about your destination – people do that, we promise! This one is really the crux of the argument. Buying a fold out boat trailer will allow you to take your favourite vessel with you, introducing a whole new highway of possibility. You’ll see a different side of Australia and maybe even catch dinner most nights – a self-sustaining holiday! Do you own a big rig? We build custom trailers according to your needs; our materials are strong, resilient and sourced to ensure your boat is carried upon a quality trailer every time. Don’t skip out on the best part of the holidays by eliminating the waterways – so many rivers and oceans, so little time. Imagine what you’d catch on a 30 pound line in WA? 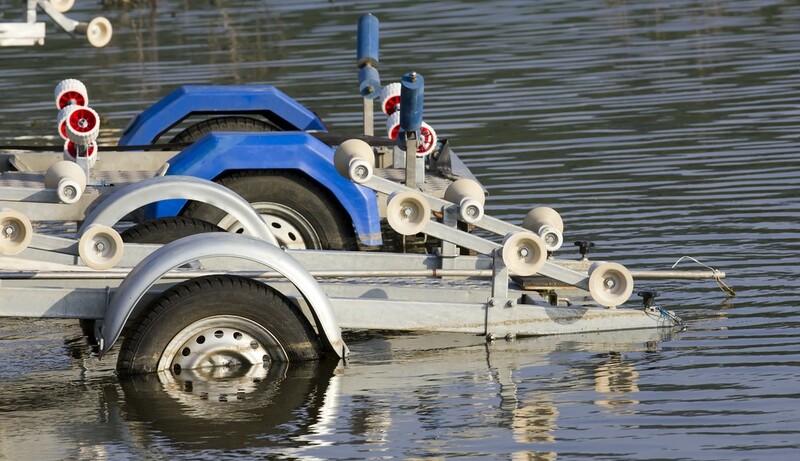 Contact the experts at Almac Trailers today on (07) 4152 3737 for all your boat trailer needs.